The Old Schoolhouse® Magazine is bound for the future, and we invite you to join in on this exciting journey. The quarterly magazine is leaving behind the confines of paper and ink and traveling into the digital world with 12 issues a year. As of January 2012, The Old Schoolhouse® Magazine will transition totally to an interactive digital format; the only printed issue of TOS will be a nearly 300-page annual edition available right here, in the Schoolhouse Store and newsstands throughout the nation. Continue reading and we'll tell you how to get the Winter 2012/2013 annual print edition, FREE! ** The Fall 2011 issue is the final quarterly paper-and-ink issue of The Old Schoolhouse® Magazine. Have you ever read The Old Schoolhouse® Magazine digital edition? Take a peek at the Fall 2011 issue! TOS will continue to offer you the encouragement, educational tools, access to great products, and high-quality articles you expect from The Old Schoolhouse®, but instead of coming to your mailbox only four times a year, we'll be arriving in your inbox twelve times a year! * Enjoy The Old Schoolhouse® Magazine on your desktop computer, or curl up on the couch with your laptop. * Read on the go with electronic devices such as cell phones, tablets, and E-Readers. And of course, TOS has an App for that! * Share special articles with friends with the click of a button. 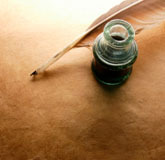 * Print articles in a printer-friendly version when you need a hard copy. * View videos, 360-degree panoramic views, slide-shows, and more! As you've heard TOS say before: You are not alone! Instructional tutorials and webinars will be available to help you enjoy the interactive digital experience. All of the fantastic components we've developed during our decade as "The Trade Magazine for Homeschool Moms" will be available every month-and instantly upon release! As part of your interactive digital subscription, you will enjoy flipping through its digital pages, linking over to websites, interacting with our columnists, and reveling in its multimedia content. Find encouragement and inspiration for your homeschool journey within the pages of The Old Schoolhouse® Magazine (TOS), the leading trade magazine in the homeschooling community. Join us on a journey of homeschooling with heart, as regular monthly columnists such as Deborah Wuehler and Paul & Gena Suarez, Zan Tyler, Diana Waring, Jessica Hulcy, Leigh Bortins, Andrew Pudewa, Dr. Brian Ray (NHERI), Dr. Mary Hood, Karen (SpunkyHomeschool) Braun, Malia Russell, Karen Andreola, Mark Hamby, and several others who are part of the TOS family of columnists speak to homeschooling facts and statistics providing encouragement and support for homeschool families everywhere! 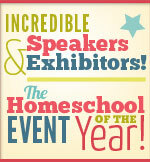 TOS will also be creating a brand-new resource-an annual, 300-page, printed issue of The Old Schoolhouse® that covers the best of homeschooling. This large, annual, printed issue will be available late in 2012, on newsstands and in the Schoolhouse Store for $19.95! It comes free with your 2 year subscription. Finally, when you purchase a 2 year subscription, you will receive Gena Suarez's new ebook - Heart and Soul Mama - for FREE. 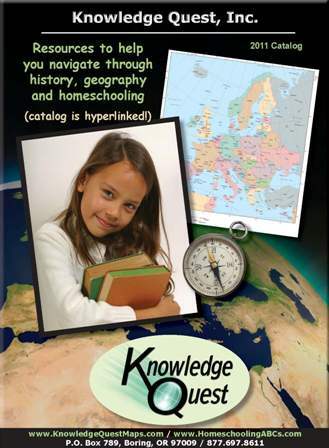 This insightful and encouraging book, which retails for $17.95, will inspire you on your path of homeschooling. Grab it today!